Get your students thinking. We teach in a product-driven age of Standards, behavioral objectives, and progress monitoring. As we head back to school, why not achieve some sort of balance with a 10-minute process-driven bell ringer twice per week? Just display this warm-up activity while taking roll and listen to the happy sounds of brains engaging with some of the greatest brains of human history: from Plato to Shakespeare to Franklin to Rowling. A brief literary quotation to drive the conversation; a specific directive for observation; a guide to interpretation; a prompt to application in the reading, writing, listening, or speaking context; and a revision task to think out of the box or from a different point of view. Wrap things up in 10 minutes, even though often you’ll hear the “We’re not dones.” Leave them thinking; yes, they are not done. Definition/Explanation/Reflection: Good friendships take time and effort. Observation: What do you see? What do you feel? What seem to be the key words? Interpretation: How would you put this into your own words? What does this mean? What doesn’t this mean? What does this suggest? Why does the author say this? Application: How can this be used? How could this thought affect something else? What conclusions can be drawn from this? Do you agree with this? How does this apply to you? Revision: How else could this have been written? Revise this to reflect your point of view or ideas. Create something new to say about this subject. Wouldn’t it be great to try out four complete Critical Thinking Opener Toolkit lessons? 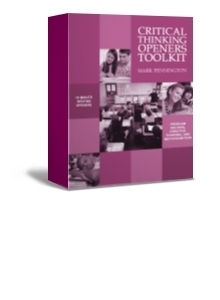 To purchase the Critical Thinking Openers Toolkit with a full year of 64 bell ringers, visit our product page at Pennington Publishing. As accumulated content knowledge is roughly doubling every five years now, we may need to take a hard look at the content that we impart in our classrooms. It’s not that our content is outdated or superfluous; it’s just that we may need to shift our instructional focus a bit. In other words, we should start being more concerned with teaching process skills that will enable our students to be better equipped to deal with the exponential increase in our knowledge base. This new process-centered design is commonly referred to as critical thinking. Following are articles, free resources (including reading assessments), and teaching tips regarding how to integrate process-centered critical thinking skills into daily instruction from the Pennington Publishing Blog. Also, check out the quality instructional programs and resources offered by Pennington Publishing. If we are to equip Twenty-First-Century students with the tools they need to add to our “knowledge pool,” we need to re-evaluate how we spend our time in the classroom. Critical thinking openers can help a teacher teach a schema for thinking that students can learn, practice, and apply with the coaching assistance of their teachers. A basic understanding of logic is necessary to be able to read critically and write with coherence. Good critical thinking follow rules of logic to observe, interpret, apply, and revise ideas or problems. These rules of logic are not new. In fact, five key forms of logic were developed by the Ancient Greeks. Good writers analyze the quality of written and spoken evidence as they read or listen to authoritative sources. Thinking, reading, and listening critically will allow you to debunk faulty reasoning and improve your ability to argue effectively. This list of fifteen errors in reasoning will teach you the pitfalls to avoid in your writing and help you spot fallacious reasoning. Helping students understand and apply the differences between fact and opinion is crucial to analytical reading, writing, listening, and speaking. Distinguishing between fact from opinion is key to interpreting information intelligently. It is one of the few “macro” skills that is, indeed, interdisciplinary. It is also a skill that is refined from elementary school up through post doctoral study. Furthermore, it is a skill of life-long learning and daily use. This article shares practical strategies about when to teach, what to teach, and how to teach fact and opinion. Teachers frequently are shocked by their students’ lack of study skills. Some teachers assume that most study skills are simply common sense and do not need instruction. Or, maybe each teacher thinks that “some other teacher” should or has already taught them. From my own teaching experience, I have come to believe that study skills are not caught, but must be taught. All content teachers have the responsibility to teach these essential learning skills. Mastering study skills will help your students “work smarter, not harder.” If students learn these skills, they will spend less time, but accomplish more during homework and study time. Students will memorize better and forget less. Their test study will be more productive and students will achieve better grades. Reading comprehension, speed, and retention will improve. Writing will more coherent and essays will be easier to plan and complete. 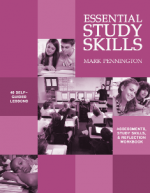 Following are articles, free resources (including reading assessments), and teaching tips regarding how to teach the essential study skills from the Pennington Publishing Blog. Bookmark and visit us often. Also, check out the quality instructional programs and resources offered by Pennington Publishing. Looking to prevent summer brain-freeze and help your child get a jump start on the next school year? The tips from Summer Daily Brainwork will teach your child to “work smarter, not harder.” Students who master these skills will spend less time, and accomplish more during homework and study time. This article explains why people procrastinate and gives you the tools that will help replace bad habits with good ones. Learn how to develop a workable plan to avoid procrastination. These practical, easy-to-understand suggestions will help you avoid putting off until tomorrow what you could be doing today. Learning how to study is a skill that is taught, more so than caught. Memory research tells us that we remember up to 70% of new information if that information is practiced within 24 hours. Learn how to practice key information from school and the workplace to interrupt the “forgetting cycle” with the Quick Daily Review. Some teachers seem to feel that knowing how to take notes is simply a matter of common sense. However, this is simply not true. Taking effective notes is a skill. Good note-taking can improve comprehension of the information presented in class and in textbooks. It can also help organize for test study. This article teaches the four best strategies for note-taking success: formal outline, webbing, Cornell Notes, and margin notes. The key to reading comprehension and retention is interactive reading. To prepare effectively for tests and discussion, marginal annotations prompt that internal dialogue with the author. This article provides the prompts you need to annotate texts well and tells why you should get rid of your yellow highlighters. Motivation and goal-setting techniques should work together to produce effective behavioral change. This article will give you the plan to avoid procrastination and develop the discipline needed to achieve your goals. Good students have learned that knowing how to study is just as important as knowing what to study. Good study habits are not just common sense; they have to be learned and practiced. This article discusses how to create a study environment and gives practical tips on how to study effectively. Good listening skills need to be learned and practiced. They are not just common sense. Learning new habits to replace old ones takes time and patience. However, everyone can improve listening skills by applying the Six Steps to Active Listening found in this short article. Improving memory helps in all walks of life: business, school, and relationships. Learning and applying the Top Ten Memory Tips will significantly improve your short and long term memory. Who knows? After reading this list, you just might remember where you left your car keys. This simple memory technique will help students of all ages place many items into the long term memory. Using the grouping technique, the seeming trivia of the academic disciplines is organized into meaningful and memorable categories. Score higher on tests and make study fun by learning the way our brains are organized. Improve your long term memory by using catch words. Students will especially appreciate how catch words will help organize their test study. Catch words are useful for simple day to day facts that need to be memorized. You may also figure out why “ROY G. BIV” has helped millions remember the colors of the rainbow in order. Learn how to significantly improve your long term memory by using catch sentences. Students will especially love how catch sentences will help organize their test study. Catch sentences are useful for many aspects of daily life. You may also figure out why “Every good boy does fine” has helped millions learn to play the piano. Need to improve your long term memory? The association memory trick will help students prepare more efficiently for tests. The trick will help sales people remember names. Learn how to significantly improve your long term memory by using catch sentences. You may also find out how the memory experts can memorize the names of an entire studio audience. The linking memory technique is one of the best memory methods to memorize lists of seemingly unrelated objects. Learn how to significantly improve your long term memory by using the linking strategies. Once you’ve made a link, you won’t have to think—you’ll just remember. Location! Location! Location! The real estate professionals haven’t cornered the market on this strategy. Developed by the ancient Greeks, using familiar locations to memorize many ideas or objects has always proved a full-proof method of memorization. Have a speech or business presentation? This article will give you the tools to place the words into your long term memory. Who would think that a simple nursery rhyme, “This Old Man,” could help you memorize ten completely unrelated items in perfect order. Great for a business presentation. Useful for test study. Wonderful for a grocery or any to-do list. Once learned, the information will be retained in the long term memory. Like most teachers, I teach test preparation strategies in my content area-English-language arts. I teach how to study and how to take tests. As an MA Reading Specialist, I happen to think that it’s an important reading skill. However, despite pressures from some to teach to the annual state and district standardized tests, I just smile and continue to teach to the established standards and to the needs of my students. In other words, I think I teach what I’m supposed to teach and to whom. Not all of my colleagues share my views. We just have a basic, honest disagreement on this matter. Some of my colleagues support teaching “power standards” and use “release questions” to practice for the annual standardized tests. Some spend considerable amounts of time composing benchmark assessments in the standardized test format. Some colleagues plan mini-lessons to address relative weaknesses indicated through item analyses of the test data. Some minimize instruction in content and/or skills that are untested or seem to be relative strengths. Some plan and prioritize their instructional minutes and assessments to match the percentage allotment of test questions. If 7% of the subtest consists of word analysis questions, then they plan 7% of their instructional delivery time and 7% of the questions on their unit tests to match. Some essentially abandon instruction the last week or so prior to the standardized test in order to review test-taking strategies and practice test questions. The standardized test certainly does drive instruction for some teachers, and they readily admit that this is the case. Now I’d like to report that my method of teaching to the standards and students produces superior standardized test results than my more zealous standardized test colleagues; however, states wisely have precluded this kind of data analysis. But, to be completely honest… If we were able to determine that my colleague achieved superior test scores, I doubt whether I would alter much of my instruction accordingly. I don’t think I’m stubborn or close-minded. I steal from my colleagues all the time, but I better trust the process of teaching to the standards and to my students than the process of teaching to the standardized test. Following are articles, free resources, and teaching tips regarding how to prepare students for test preparation from the Pennington Publishing Blog. Bookmark and visit us often. Also, check out the quality instructional programs and resources offered by Pennington Publishing. Although cramming for a test is somewhat effective, studying over a period of days prior to the test gets better results. Learn how to prepare in advance by practicing a daily review of notes, asking the right questions of the teacher, and forming a study group. This article details the best advance strategies for test success. Although your effective test study does increase the likelihood of test success, it is only half of the equation. The other critical half is how you take the test. Developing a test plan will reduce stress, manage time, and maximize success. This article details the best strategies for taking a test. Test anxiety plagues students of all ages. This article teaches you how to relax and build test-taking confidence with positive self-talk and practical strategies. Objective tests pose many problems for test-takers. Knowing the strategies of how to answer multiple choice, matching, fill in the blank, and true-false test problems can significantly improve ones overall test scores. This article details the five best objective test-taking strategies. Students say that they like true-false tests; however, it is hard to earn an A on these types of tests. This article details the tips that will maximize your scores on these test sections. Learn how to strategically guess on true-false tests. Everything you learn will be true, of course. Learn how to strategically guess on matching sections. These tips will help you get the grade you want by eliminating selection mistakes. Learn how matching tests are constructed and take advantage of this to maximize your test score. Just sixteen general strategies will help you make a significant difference on both the SAT® and ACT® test. Warning: Don’t assume you already know these tips; these are not just “common sense” test-taking strategies. Use these strategies with readily available online practice tests and watch your scores improve. Most SAT®-takers generally think that the SAT sentence completion sections are relatively easy. After all, they are just fill in the blanks. However, many students can be shocked to find out that their test results in this section can be lower than those from the passage-based sections. This article shares the best strategies to help SAT-takers significantly increase their SAT scores on the sentence completion test problems. The SAT passage-based reading sections can create a stumbling block for SAT test-takers. Many students score poorly on these sections; however, using the memorable strategies explained in this article will help SAT-takers significantly increase their SAT scores on the passage-based critical reading section. Learn how to beat the SAT with these effective strategies. The SAT essay can produce time management challenges and difficulties for SAT-takers. Many students score poorly on this section; however, using the AEC TP IT 2B RCP strategies will help SAT-takers significantly increase their SAT scores on the SAT essay section. SAT®-takers find the critical reading sections challenging because both the sentence completion and passage-based reading sections are so vocabulary dependent. You may not have a huge academic vocabulary, but some concentrated study and knowing the following strategies can make a significant difference in your scores. Here are the short-cuts you need to succeed. 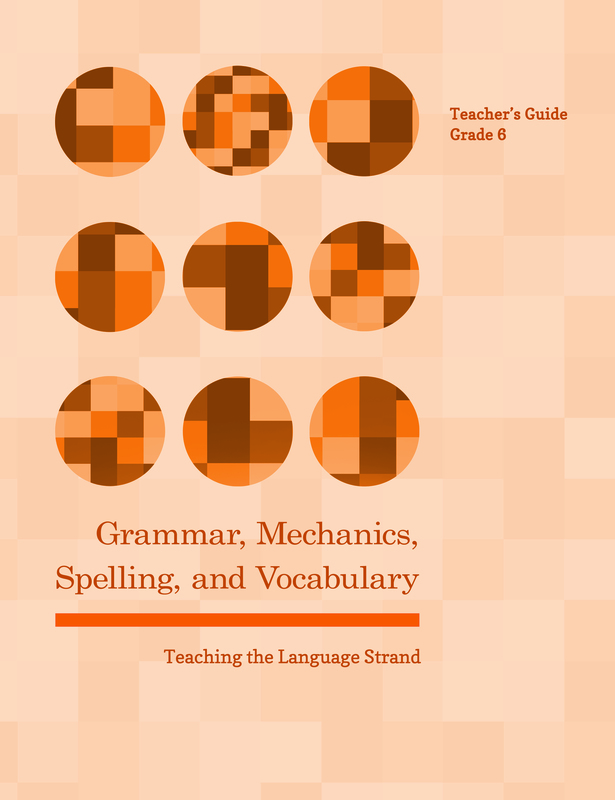 Pennington is the author of two Standards-aligned programs: Teaching Essay Strategies and Grammar, Mechanics, Spelling, and Vocabulary (Teaching the Language Strand). 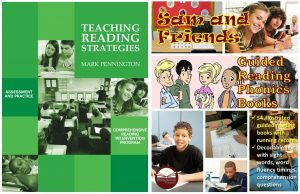 Mark’s comprehensive Teaching Reading Strategies and the accompanying Sam and Friends Guided Reading Phonics Books help struggling readers significantly improve their reading skills in a full-year or half-year intensive reading intervention program. Make sure to check out Pennington Publishing’s free ELA and reading assessments to help you pinpoint grammar, usage, mechanics, spelling, and reading deficits. The KWL Reading Strategy has been with us for years. Developed by Donna Ogle in 1986 at the height of “whole language” movement, KWL is a metacognitive reading strategy that frequently masquerades under the guise of a comprehension strategy. KWL has been often misapplied and has taken the place of other more relevant and effective reading comprehension strategies. Essentially, here is the KWL strategy: The teacher passes out a three-column KWL worksheet to each student. The teacher activates students’ prior knowledge by asking them what they already Know; then students individually, in small groups, or as a whole class list what they Want to learn; after reading, students list and discuss what they have Learned. In 1992, Professor Ogle revised the strategy as KWHL. The added H refers to How the reader plans to find what he or she Wants to learn. KWL is a metacognitive strategy because it is a problem-solving process that focuses on thinking about and developing a language for the thinking (reading) process. It is reader-centered, not author-centered. There-in lie the pitfalls of this strategy, when misapplied as a reading comprehension strategy. Because KWL is reader-centered, it is also limited by the background knowledge of the readers. Although the prior knowledge of the K step is significantly enhanced, when brainstormed collaboratively, oftentimes students will share irrelevant, inaccurate, or incomplete information which may well confuse their reading. Of course, the teacher has a role, here, to make the student contributions comprehensible by using analogies, filling in gaps, and synthesizing the students’ collective prior knowledge; however, the question has to be raised: Is this process really worth the time? Is the pay-off worth the process? At the minimum, teachers should be judicious about using the KWL activity by selecting reading topics that are very familiar with their students. Again, because KWL is reader-centered, it is limited by what is shared by students in the W step. Students don’t know what they don’t know and they similarly don’t know what they Want to know. Or, they may Want to know what is inconsequential, trivial, or not available in the reading or available resources. Following the dictates of reader interest may lead to lots of spinning in circles and tangential bird-walking. A much more useful and purposeful step would be a P for a prediction about what the author will say, after accessing students’ prior knowledge and a brief “picture walk” or “preview” of the reading. There is nothing magical about the L step. Listing what the reader has learned makes sense as a comprehension check, although it is doubtful whether providing an end-of-reading list actually improves reading comprehension. It does make sense to validate or correct what has been listed in the K and W steps. Other note-taking strategies do teach reader monitoring of the text, so the real issue is a reductive one: Although the L step does focus on the author and text (a good thing), there are better strategies that can be used instead. For example, the PQ RAR read-study method is one of the better author/text-centered reading comprehension strategies for expository text. Although the author-reader connection is vital to comprehension, the relationship should be weighted heavily on the side of the author. It is the author’s thoughts that we are trying to interpret, not ours as readers. 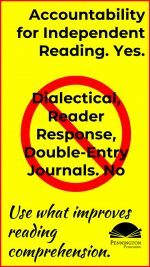 The “whole language” movement skewed this relationship on the side of the reader, at the expense of the author, his or her writing, and the reading process itself (decoding, etc. ).This is the key issue with response journals disguising themselves as comprehension strategies, such as KWL. They are weighted too heavily on the reader side of the ledger. Schema theory aside, accessing prior knowledge (K) and setting a purpose for the reading (W) are somewhat helpful, but frankly over-valued. The (L) component is really what readers are after. Response journals are good note-taking vehicles and serve nicely to hold students accountable for what they read, but internal monitoring and self-questioning strategies can teach readers to understand the author’s ideas better. Additionally, focusing on the experience and needs of the readers (K,W) can lead the readers to think of the text as a purely subjective experience. Instead, readers need to view the text as objectively as possible, setting aside all preconceived ideas and biases. Readers are supposed to infer what the author means. This skill can be taught and practiced to improve comprehension. In sum, good readers focus more on the text and less on themselves; the majority of our instructional strategies should reflect this.